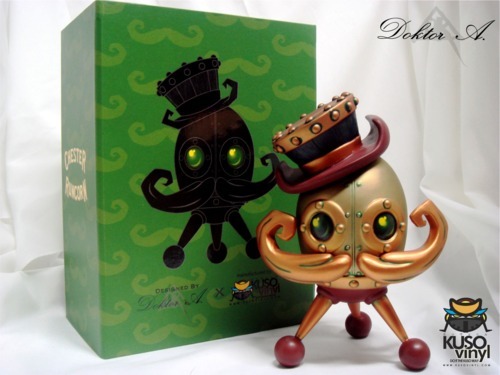 Preorder Doktor A's newest full-size vinyl figure: Chester Runcorn! The Port Edittion colorway is limited to 300 pieces. Click here to preorder, this item will arrive late April. 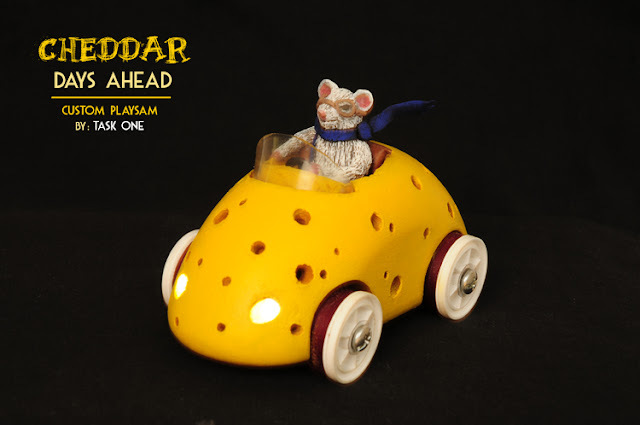 Internationally recognized toy designer and illustrator Emilio Garcia will travel from Barcelona, Spain to host a 4-day workshop with students on making designer toys, along with a public lecture and demonstration for Drexel University’s Product Design program, part of the Antoinette Westphal College of Media Arts & Design. 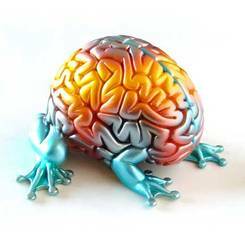 Garcia is well known for his jumping brain toys and his design work with international companies such as Hitachi, Diesel, Inditex, Metro, Vans and The North Face. Garcia will work with Product Design program director Michael Glaser and students from the Westphal College to design a character/collectable type toy that can be printed on the Objet and MakerBot. The MakerBot printer creates a manufacturing station that allows users to create any type of 3D image and print it from a CAD-generated sketch. 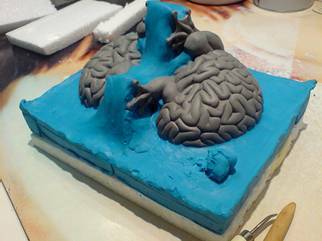 Students will work in teams on a theme-based project that will culminate with a small exhibition prior to Emilo’s public talk on Monday, April 16th at 6:30 pm. The talk is free and open to the public in Stein Auditorium, 111 Nesbitt Hall (3215 Market St.). It will focus on the world of collectable toy making, a growing sub-culture taking hold in many of world’s urban centers. Garcia work is published in Taschen Favourite web sites and Web Design Index Books. His career as digital, multi-media artist moved into tactile forms as a reaction to the digitalization of our cultural and the rapid evolution of technology currently happening in society. 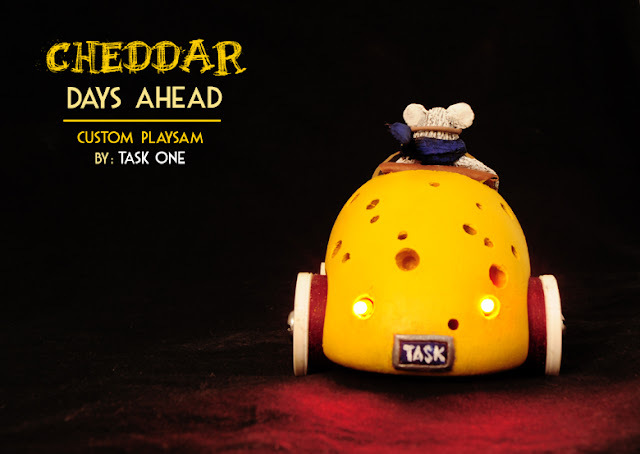 TaskOne shares with us his entry into the Playsam 500- Cheddar, Days Ahead is a custom based on the Playsam Streamliner wooden toy. TaskOne always kills it. 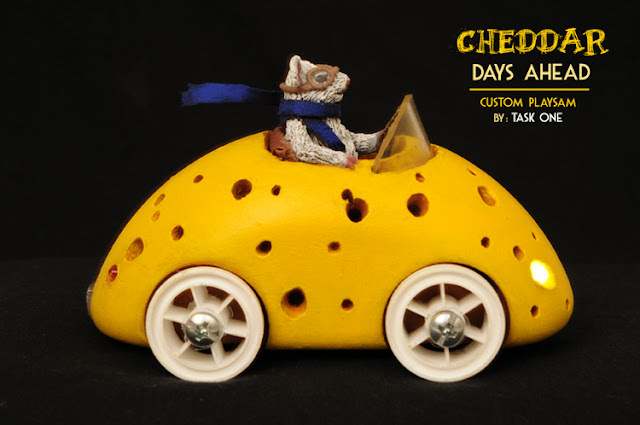 This show at Super7's San Francisco shop looks amazing- I've seen a ton of sweet customs in this show, like this one and this one. Task and I are talking about doing a Tenacious exclusive release later this year. Any suggestions? 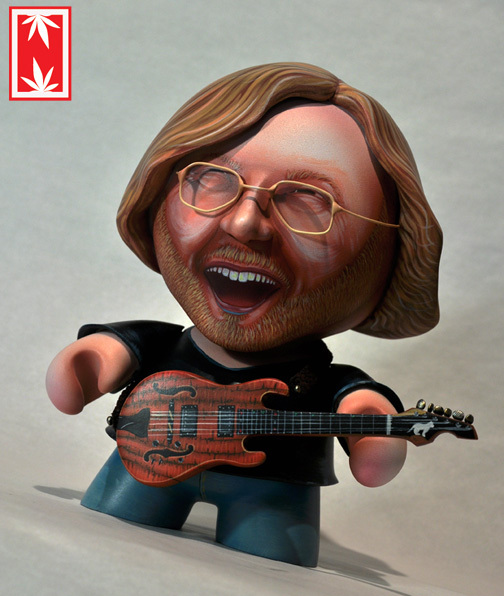 Ian Ziobrowski shares with us two of his most recent commissions: Trey Anastasio is the guitarist from legendary jam band Phish. 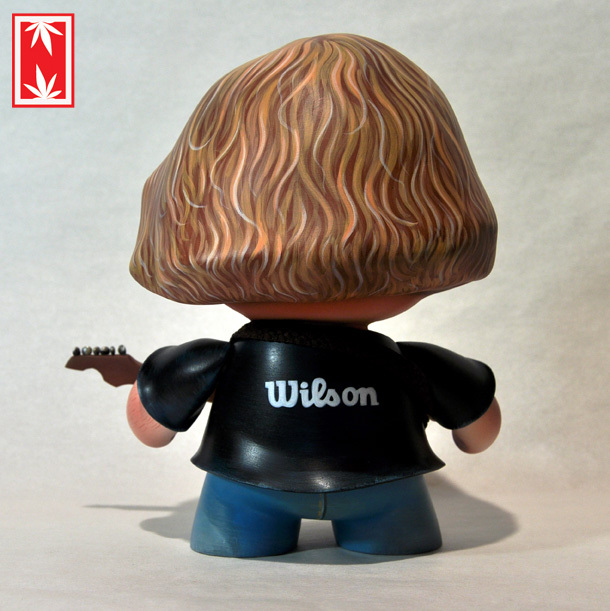 The Trey custom pictured above was executed on a 7-inch Munny platform. 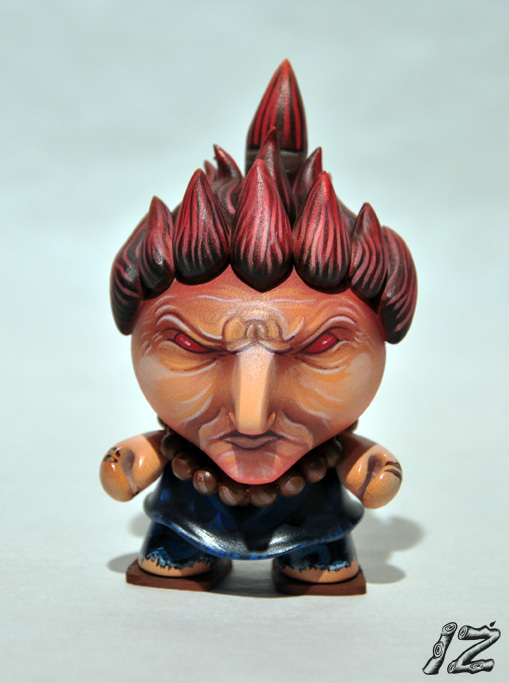 Super tight work in Ian's signature style, with detailed sculpting and accessories- all hand-made. 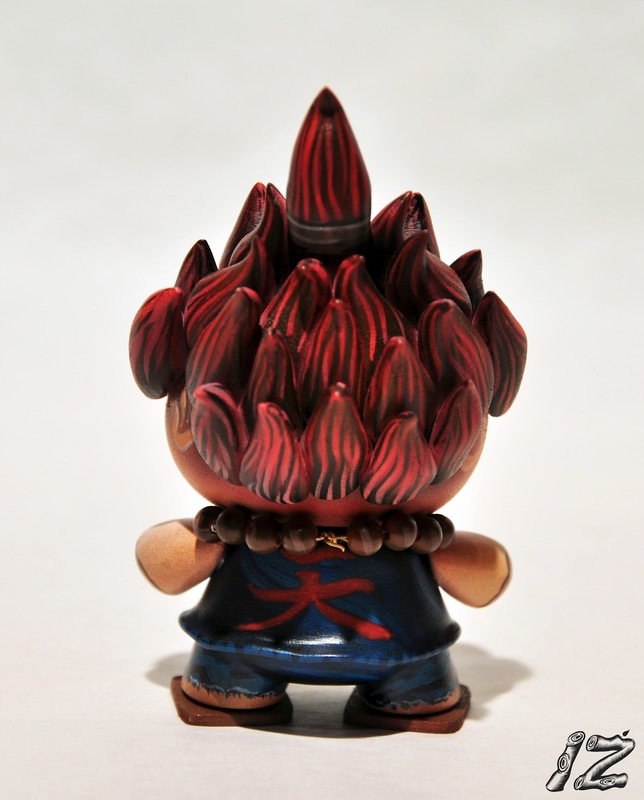 Below is a commission Ian did for a customer who wanted to add the character Akuma to his Kidrobot Street Fighter figure collection. As such, this piece is based on a 3-inch Dunny platform. Ian says this one "is a bit different for me... Nothing Nugglife related but still fun."